Clearly, Peter at this point still does not understand discipleship. Do we fully understand our discipleship in Christ? If a stranger approached you, who would you say that Jesus is? Pope Francis gives an indication of what we must to do become true disciples of Jesus. To undertake the discipleship of Jesus means to take up your cross – we all have it – to accompany Him on His path, an uncomfortable path that is not of success or of passing glory, but that which takes us to the true freedom, freedom from selfishness and from sin. It is to operate a clear rejection of that worldly mentality that places one’s “I” and own interests at the center of existence. That is not what Jesus wants from us. Instead Jesus invites us to lose our life for Him and the Gospel, to receive it renewed, realized and authentic. We are sure, thanks to Jesus, that this path brings us to the Resurrection, to the full and definitive life with God. 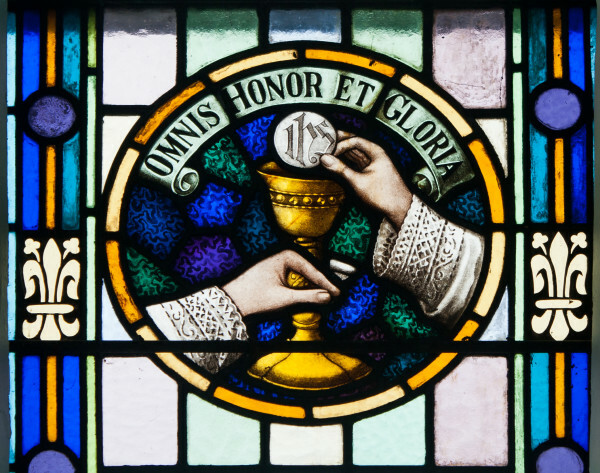 To decide to follow Him, our Master and Lord who made Himself the Servant of all, requires a strong union with Him, the attentive and assiduous listening of His Word – remember to read everyday a passage from the Gospel – and the grace of the Sacraments. There are young people here in the square, young men and women. I only want to ask you: have you felt the desire to follow Jesus more closely? Think about it, pray and allow the Lord to speak to you. True discipleship in Jesus means that we must accept his invitation to lose our life for him, to receive the Gospel renewed, realized, and authentic. For that, we must rely on daily Scripture reading and frequent reception of the Sacraments. Have you been to Mass today? If not, don’t miss this opportunity to allow the Lord to speak to you. He’s waiting! Angelus, Discipleship, Eucharist, Jesus, Pope Francis. Bookmark. Mary, the Star of the Sea: Why Venerate Mary’s Name?